Middle-income earners are in line for a tax cut in the Budget despite warnings that the economy could overheat. Finance Minister Paschal Donohoe will spend the summer working on a tax package worth around €266m. It will include changes to the income tax bands in order to remove thousands of people from the higher rate of 40pc. However, Mr Donohoe could face a battle with Fianna Fáil which said that it remains unconvinced that the public wants tax cuts. The State’s economic think-tank warned this week there is “little or no scope” for cutting income taxes in October’s Budget. ESRI officials raised concerns that a big increase in capital spending under Project Ireland 2040, combined with tax reductions, could push the economy towards the point of overheating. But as he launched the Summer Economic Statement (SES), Mr Donohoe promised to reduce taxes in a “steady and affordable” manner. It is understood his priority is to raise the current entry point for the higher tax rate from €34,550. The SES paints a picture of an economy that is “in good shape”, with employment close to its highest level ever. But it added: “Capacity constraints are increasingly becoming a feature of some sectors, and this, in turn, could lead to overheating in the economy. Read more: Tax cuts and the 'rainy day fund': What do we know about Budget 2019 so far? The Government will have €3.4bn of new money available for Budget 2019, but €2.6bn of this has already been pre-committed. This includes €1.5bn set aside for capital developments, primarily in the areas of housing and transport. Another €400m is earmarked for public sector pay increases. In total, Mr Donohoe will have €800m for new, day-today spending and tax cuts in the Budget. “I’m aware of how expectations have now increased given the remarkable performance of our economy,” he said. 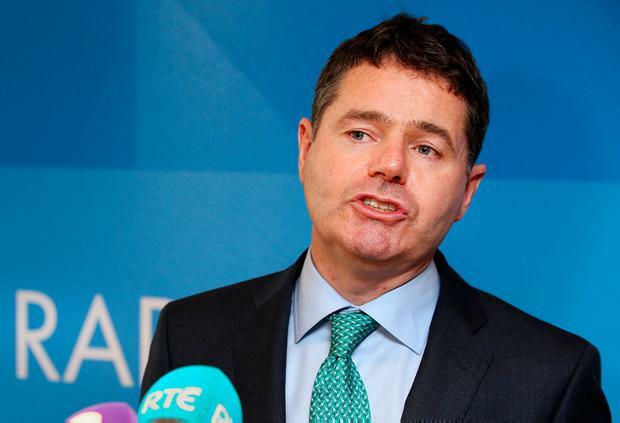 Under EU rules, the Government has the option of spending up to another €900m – but Mr Donohoe said he had made a “clear choice” not to do this, as it would require further borrowing or tax hikes. However, he admitted there was the potential for some measures that would widen the tax base in order to give him more leverage. “All the forecasts will be revised in the run-up to Budget day,” he said. There is deep scepticism in both Fine Gael and Fianna Fáil about the ability of the two parties to agree a budget for next year. Fianna Fáil’s housing spokesman Darragh O’Brien said his party had already “dragged the Government away from massive tax cuts”. Asked whether he accepted that workers expect some form of tax break, he replied: “I don’t quite yet. Really what people want to see is improvement in housing, improvement in health and public services. They are quality of life issues. The Labour Party criticised plans to put €500m into a ‘rainy day fund’ rather than housing. Tax cuts and the 'rainy day fund': What do we know about Budget 2019 so far?